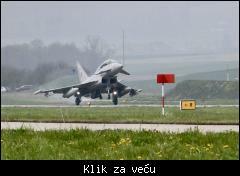 Citat:At a press conference in Bern, Ministry of Defence specialists reported on the flight and ground tests for a new fighter jet. The press conference marks the start of the trials, which begin this week in Payerne. The trials of the five candidate airplanes will take place until the end of June 2019. 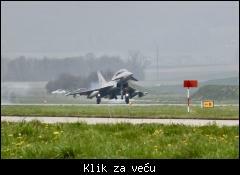 Citat:Typhoon landing after having completed the first day of flight evaluation trials in Payerne, Switzerland. 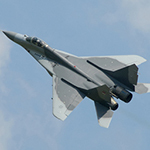 Citat:Five aircraft are set to take part in the “Air 2030” programme, including the Eurofighter Typhoon, the Boeing F/A-18E/F Super Hornet, the Dassault Rafale, the SAAB JAS-39 Gripen E and the Lockheed Martin F-35A Lightning II. 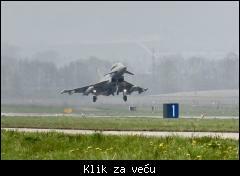 A Eurofighter Typhoon FGR.4 and Typhoon T.3 operated by the Royal Air Force are currently at Payerne Air Base undergoing flight trials and are the first competitors to take to the air in the programme. 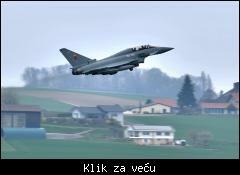 A Typhoon FGR.4 and T.3 are being used as Airbus’ competitive platforms as the Royal Air Force operate the jets in its most recent configuration. 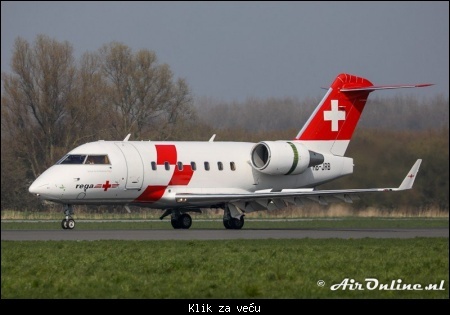 Citat:Already back in May 2017, the Schweizer Luftwaffe (Swiss Air Force) started negotiations for the procurement of two Bombardier CL-604 Challenger aircraft belonging to the Swiss Air Rescue Service Rega. The two used aircraft are intended to replace the Beech 1900D T-729 of the Lufttransportdienst des Bundes (LTDB, Air Transport Service) of the Swiss Federal Government. A i negde sam procitao jos odavno da SwAF preuzima 2/3 REGA-ina aviona, dok oni kupuju tri nova. 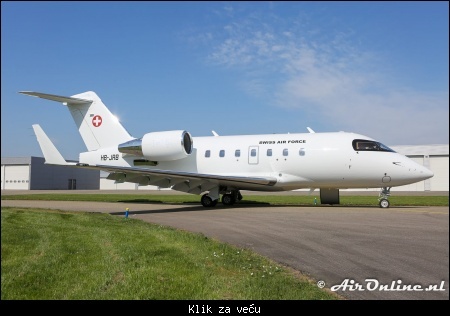 Citat:Glimpse of the new Swiss Air Force Challenger 604. At 17 APR 2019 the HB-JRC arrived at Lelystad Airport (EHLE) from Berlin-Schönefeld for repainting in het hangar of Satys. But the first Challenger 604 HB-JRB was still inside and was not yet ready for departure. Only the middle door of the hangar opened and a glimpse of the repainted Challenger cold be seen. 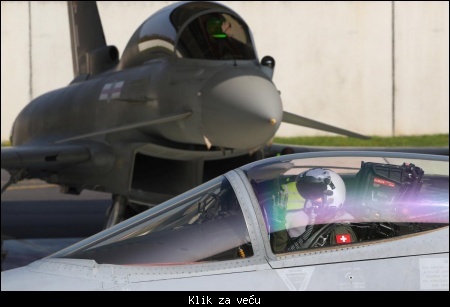 It is all white now with a Swiss roundel in the tail and it looks it has ‘Swiss Air Force’ titles. 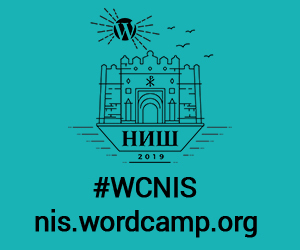 The new registration was also on! Only T-75.. was readable. It will be the T-751. The plane left 18/04 as HB-JRB. 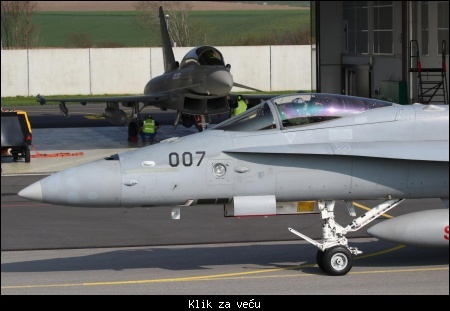 They parked the HB-JRC with the tail backwards partly inside the hangar so work on the tail could start already. 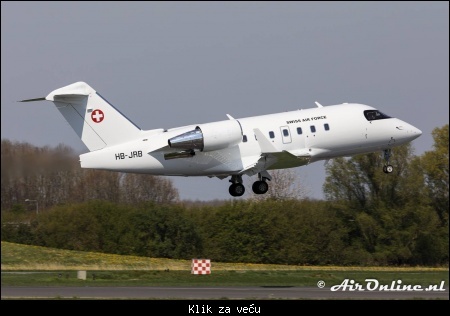 Citat:HB-JRB (T-751) Bombardier CL-600-2B16 Challenger 604 Swiss AF departed this afternoon from Lelystad Airport (EHLE) for a flight to Switzerland as SAZ351 (Swiss Air Ambulance 351). The militairy registration was taped over but clearly visible.